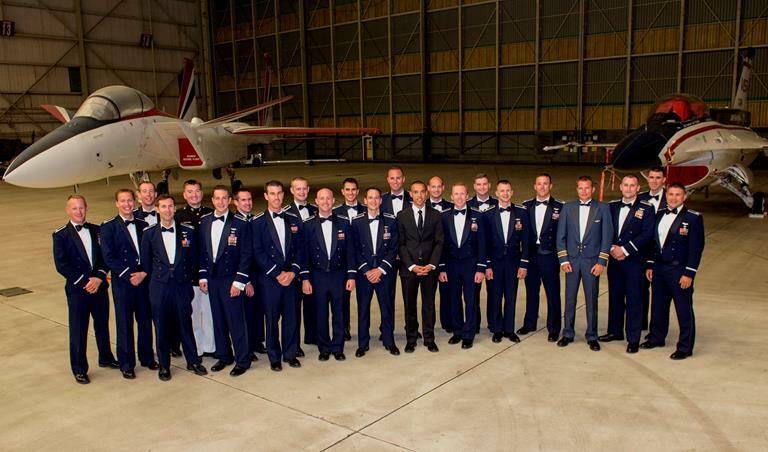 EDWARDS AFB – Twenty-four students graduated recently from the United States Air Force Test Pilot School. During a ceremony held at Edwards Air Force Base, they each were awarded a Master of Science in Flight Test Engineering from Air University. It was the culmination of an intense, 48-week program that included more than 2,500 hours of academics and approximately 120 hours of in-flight training; transforming top operational pilots, navigators and engineers into elite flight test professionals. They will now be integrated into teams throughout the flight test enterprise and begin shaping the technology and weapon systems of the future for the Air Force, sister services and allied nations.